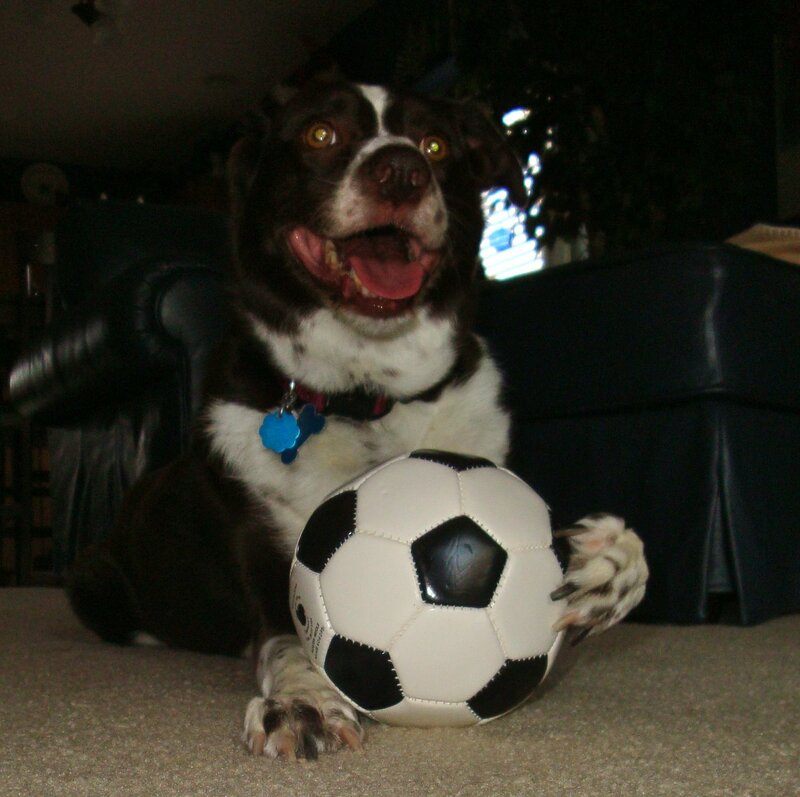 Cootie enjoys socc…er…football. She likes the thrill of it. The competition. The companionship. The grass stains and sweat and especially the snacks after the game. She was thrilled to hear about the good fortune of the US team this week. CHICAGO (July 23, 2009) — The U.S. earned a trip to their third straight CONCACAF Gold Cup Final, following Thursday’s 2-0 victory against Honduras at Soldier Field in Chicago. Clarence Goodson scored the game-winner in first-half stoppage time, and Kenny Cooper added an insurance goal as the game reached 90 minutes. With the victory, the U.S. will face Mexico on Sunday at Giants Stadium in East Rutherford, N.J. Kickoff on Sunday is set for 3 p.m. ET on Fox Soccer Channel, Univision and the Futbol de Primera Radio Network. It’s Friday evening and The Brownmeister thought the best thing to do (since I didn’t give her the option of a chewy treat, another bowl of food, or a ride it the jeep) was to kick it around a bit. She’s done that and now she is resting. With her blanket.